This is an impressive piece of climate research. So why did it not get more media coverage? Is it too cynical to suggest that whilst research showing that the Sun has little influence in contemporary climate change is reported with enthusiasm while work that points in the other direction is overlooked? 1683-84 Thomas Wyke – Frost Fair on the River Thames near the Temple. The Little Ice Age affected Europe at just the wrong time. In response to the more benign climate of the Medieval Warm Period, Europe’s population may have doubled. More people married, and most did so earlier giving birth to six or seven children despite, or perhaps because of infant mortality being high. But in the mid-seventeenth century demographic growth stopped and in some areas fell, in part due to the reduced crop yields. Bread prices doubled and then quintupled. Buying bread now absorbed almost all a family’s income, in turn, causing the demand for manufactured goods to collapse and resulted in unemployment. High prices and reduced incomes forced many couples in Europe to marry later and the average age of brides rose from teenagers in the later sixteenth century to twenty-seven or twenty-eight in the mid-seventeenth reducing the birth rate. Hunger weakened the population. The English philosopher Thomas Hobbes argued in 1651 that `the life of man [is] solitary, poor, nasty, brutish, and short’. Such was the effect of the so-called Little Ice Age in Europe. Understanding what happened is clearly important, not only for determining the underlying factors behind climate change, but also in case it ever happens again. However, you may have missed the recent publication of a fascinating piece of work concerning the global extent of the Little Ice Age. The researchers involved, from the Universities of Gloucestershire, Aberdeen and Plymouth, issued an embargoed press release via one of the major science news sites with the arresting title, “UK researchers show Little Ice Age was global, with implications for current Global Warming.” This was enough you might have thought to get coverage in the media given the interest in climate change and the seemingly endless stream of stories saying that climate change will be bad for (insert problem here.) But no. The research was almost universally ignored. The researchers were mystified why their work was treated this way. The new work, published in a peer-reviewed journal devoted to the Holocene, sheds new light on the climate of the Little Ice Age, and drew interesting conclusions about the role of the Sun in climate change. The study involved looking at climate proxies in a peat bog in Tierra del Fuego, southern South America. They indicate that the most extreme climate episodes of the Little Ice Age were felt not just in Europe and North America, which is well known, but globally. Attitudes to the Little Ice Age, as well as the earlier Medieval Warm Period, are divided on scientific as well as ideological grounds. A decade ago many scientists believed that they were local in extent. Some campaigners latched onto this because if the medieval Warm Period and the Little Ice Age were global it would show the extent of climate change that can be produced naturally was larger than recent variations and it would also implicate the Sun as having an influence after it has been discounted as an insignificant contributor to contemporary climate change. Since then evidence has been accumulating that the Medieval Warm Period and Little Ice Age were global events, and this research is among the latest to show that. The team of researchers used exactly the same laboratory methods as have been developed for peat bogs in Europe. Two principal techniques were used to reconstruct past climates over the past 3000 years: at close intervals throughout a vertical column of peat, the researchers investigated the degree of peat decomposition, which is directly related to climate, and also examined the peat matrix to reveal the changing amounts of different plants that previously grew on the bog. 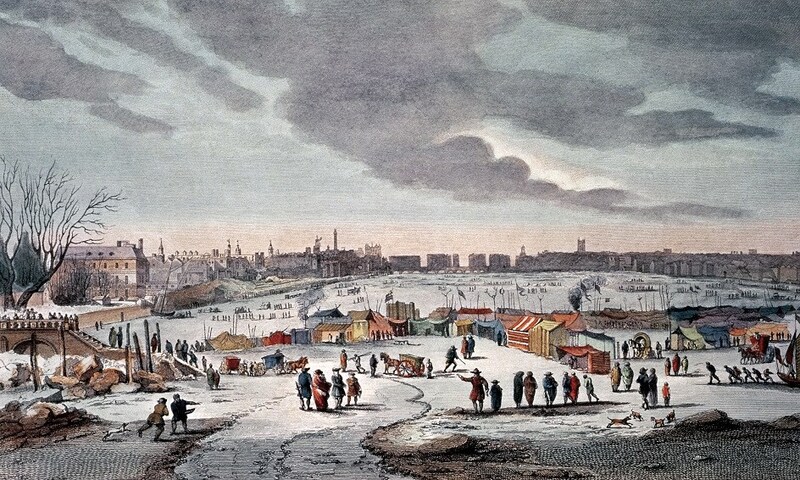 The data show that the most extreme cold phases of the Little Ice Age—in the mid-15th and then again in the early 18th centuries—were synchronous in Europe and South America. There is one stark difference: while in continental north-west Europe, bogs became wetter, in Tierra del Fuego, the bog became drier—in both cases probably a result of a dramatic equator-ward shift of moisture-bearing winds. This is an impressive piece of work. So why did it not get more media coverage? Is it too cynical to suggest that whilst research showing that the Sun has little influence in contemporary climate change, even shoddy research, is reported with enthusiasm, work that points in the other direction is overlooked. The press release associated with this latest research was emailed to hundreds of journalists many of whom work in online media where there are no space restrictions as there are in broadcast media. So why was it almost universally ignored?